Once again Dr Rowley has attempted to mask his incompetence, ineptitude and inability to make the required hard decision to fire his friend Dennis Moses by diverting attention to a non-issue involving Marine Le Pen. At today’s Post Cabinet meeting Dr Rowley, noted for missing three Annual General Assemblies of the UN and the very important Climate Change Summit in Paris in 2016 among others, sought to bring up the dead issue of my meeting Marine Le Pen. At each of these four UN meetings approximately 150 Heads of State and Government attended. Dr Rowley, who appears to be mortally afraid of world gatherings involving his peers, was a no show. Apparently, Dr Rowley holds the view that diplomacy involves speaking only to friends and family and treating others, like Ms Le Pen, as only deserving of “pavement” treatment. Ms Le Pen was at the time an elected member of the European Parliament of the EU and head of a right wing party in France and a leader who needed to be challenged to explain her perspectives on immigration, Islamophobia and extreme nationalism once the opportunity arose. “The meeting with Ms Le Pen was also attended by approximately 18 UN ambassadors including Camillo Gonsalves, then ambassador of St Vincent and the Grenadines to the UN, and now Minister of Finance of that country. 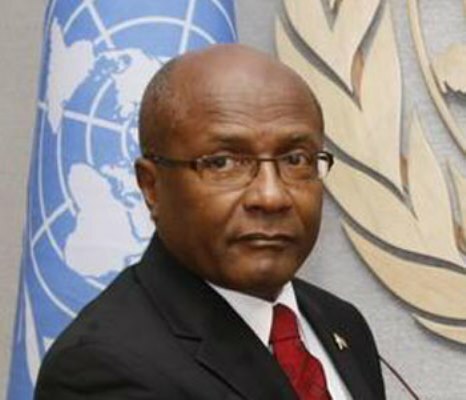 Dr Rowley therefore misled the country and slandered my good name by saying that I was the only UN ambassador in attendance”, stated MP Charles. At that meeting, unlike that of the OAS, no positions were put forward on behalf of T&T. It was essentially an exercise in listening. Clearly, Dr Rowley does not understand that global diplomacy requires interaction with, and listening to the views of individuals whom you may even despise. The prestigious Economist recently pointed out the need to monitor the rise of right wing parties in Europe given election results in Italy. Even academic Selwyn Cudjoe travelled to Paris in 2017 to discern up front where Ms Le Pen stood on issues. MP Charles notes that he has attended meetings in Parliament with the PNM to discuss pending issues including the Anti-Gang Legislation. Meeting the PNM on behalf of the UNC does not make him a member of that party or sympathetic to that party’s views. What is increasingly clear is that Dr Rowley is incapable, unlike positions taken by his predecessor Kamla Persad Bissessar, of being decisive on matters including this OAS situation by passing, Pontius Pilate-like, hard leadership decisions to third parties. It is also clear, from what the PM said at the Post Cabinet meeting, that he appears inclined to put any and every other issue ahead of our national interest and our country’s image. PM Rowley appears incapable of understanding the concept of Ministerial responsibility. There is enough information in the public domain, and within the report he received, for any leader worth his salt to act decisively. Charles: Dr Rowley why no action on Minister Moses? Charles: How can we aspire to first world status under this clueless inept Rowley version of the PNM?